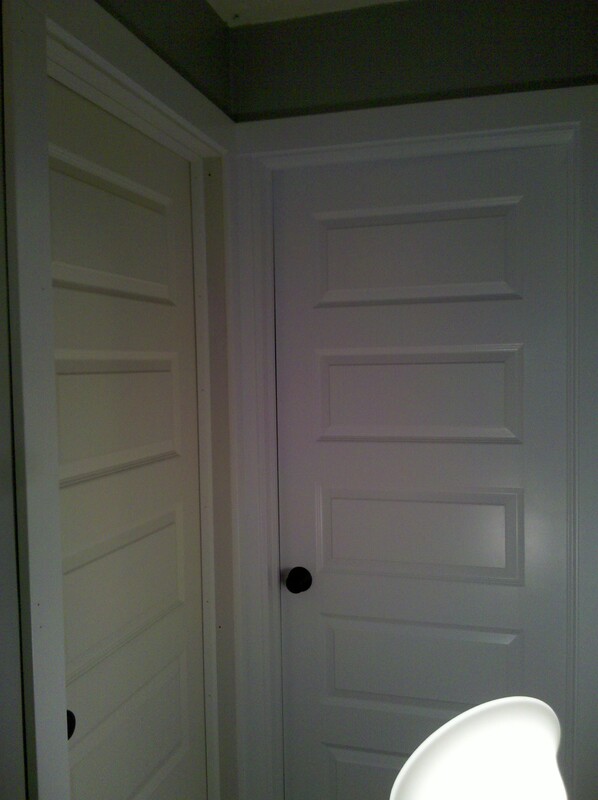 The one on the left is a perfect before, the one on the right, first door in the house 100% complete, painted, trimmed, rehung. And gorgeous. Agreed?